Simon and Garfunkel’s Greatest Hits is the first compilation album from Simon & Garfunkel, released on June 14, 1972 two years after the duo disbanded. The album was a unique mix of original studio recordings and four previously unreleased live recordings. The album’s minimalist packaging does not specifically date the latter, however, the live versions of «For Emily, Whenever I May Find Her» and «Kathy’s Song» included on Greatest Hits were also included on the 2008 album Live 1969. The liner notes to Live 1969 state that these two songs were both recorded at a November 1969 concert in St. Louis, Missouri. In a 1975 BBC Radio 1 interview, Roy Halee identified this version of «The 59th Street Bridge Song» as being from Simon & Garfunkel’s 1970 performance at Carnegie Hall, «the last concert they did together.» The version of «Kathy’s Song» was taken from a 1968 concert in Vermont, according to the liner notes from Collected Works. The remaining ten studio songs comprise nine singles released between 1965 and 1972, «America» being issued as a single several years after its appearance as a track on the Bookends album, and one album track, «Bookends» (without its parent song «Old Friends»). All but «America» and «Scarborough Fair/Canticle» made the Top Ten, with the latter peaking at #11, and «Mrs. Robinson» topped the chart aided by its appearance in Mike Nichols’ hit movie The Graduate. «The Sound of Silence» and «Bridge over Troubled Water» both peaked at #1 as singles in their studio versions, and «The Boxer» peaked as a single at #7. Simon and Garfunkel’s Greatest Hits peaked on the U.S. albums chart at #5. On the UK Album Chart, it was a #2 hit. Regardless of initial placements, the album has proven a long and durable seller, currently being certified for 14 million units sold in the U.S. alone. As such it is easily their best-selling album ever in the U.S., and indeed holds the record in the U.S. for the best-selling album ever by a duo. 7. Scarborough Fair/Canticle – Simon & Garfunkel, Simon, P.
12. 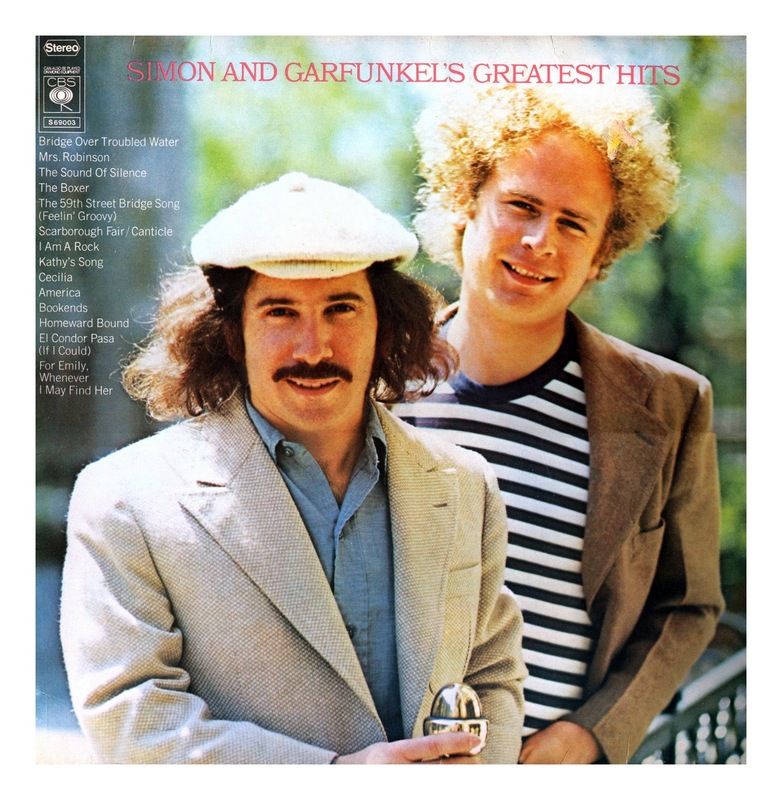 El Condor Pasa (If I Could) – Simon & Garfunkel, Simon, P.
In 2003, the album was ranked number 293 on Rolling Stone magazine’s list of the 500 greatest albums of all time. 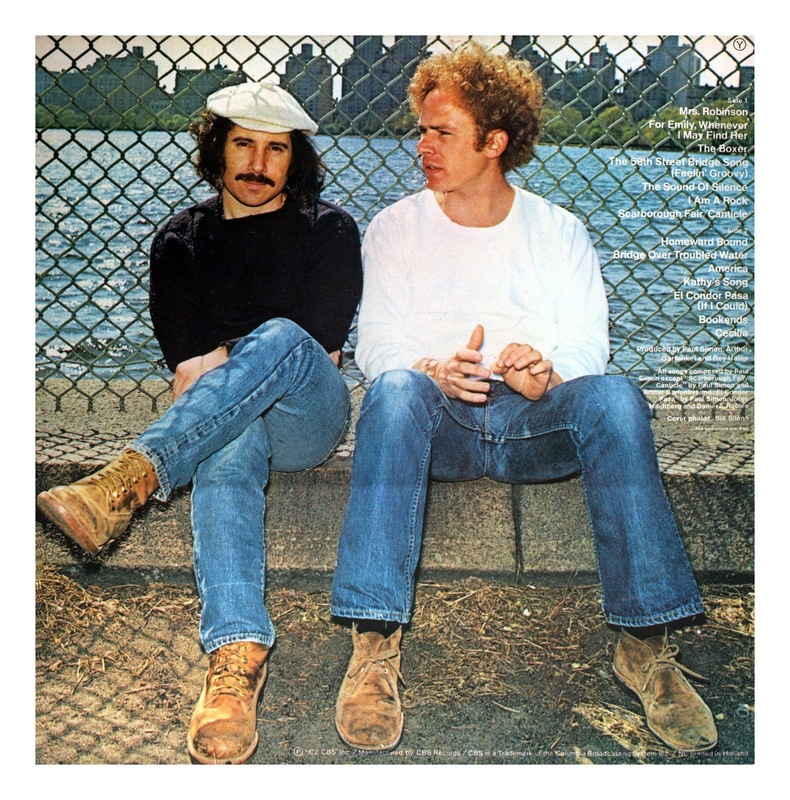 293/500 : Released in the wake of a brief reunion for a George McGovern campaign benefit concert in 1972, Greatest Hits combines big Simon and Garfunkel hits and live tracks, and summarizes nearly everything great about the duo: intimate harmonizing, observant lyrics, innovative arrangements and singular tunes. By 1953, Ben Webster had carved out his own niche in the world of jazz (and certainly in the world of saxophone). Early in his career, the tenor man was under the spell of Coleman Hawkins and some critics considered him a mere copy. However, by the ’50s, Webster had formed his own idiom. Still showing his roots, Webster nonetheless began to play with more flexible phrasing and a unique breathy tone. Uptempo numbers were intense yet controlled, and his ballad work (probably his greatest asset) was lyrical and more emotional than that of any of his contemporaries. This 1953 date matched Webster with such peers as alto saxophonist Benny Carter, trumpeter Harry Edison, and pianist Oscar Peterson for a series of elegant yet soulful and exuberant small group dates. With no cut longer than four and a half minutes, the players didn’t have time for excess statements or overkill; they had to quickly get to the heart of the matter in their solos, make their points, and return to the head. The original session has been enlarged by the addition of two previously unissued tracks, plus an alternate version of «That’s All» that was later issued as a single. Label head Norman Granz excelled in producing swing-oriented, crisply played mainstream dates. 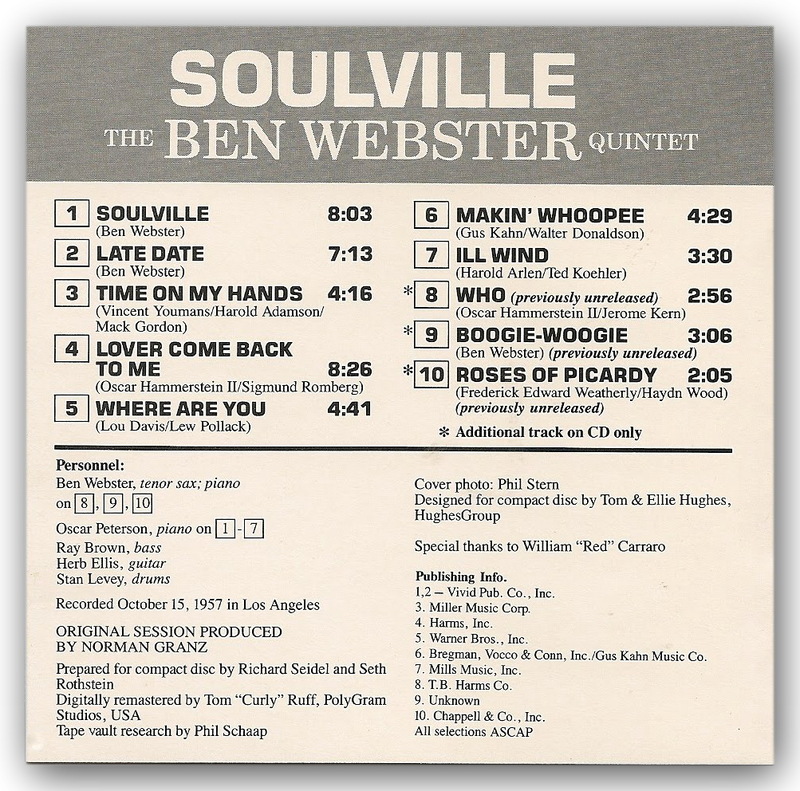 Although this date is more than four decades old, Ben Webster’s solos have a freshness and vitality that make them quite relevant to contemporary events. Indeed, Webster is one of the most brilliant instrumental balladeers jazz has ever produced. No one can get that airy (even sultry) tone quite like Webster. Finally, as an intriguing bonus, we hear Webster perform three tunes in duet with Levey. Intriguingly, Webster plays piano on these tracks! Using an antiquated stride/boogie woogie style, Webster shows that his talent reaches beyond the saxophone. Recorded in Hollywood, California on October 15, 1957. Originally released on Verve (8274). Includes liner notes by Barry Alfonso. Personnel: Ben Webster (tenor saxophone, piano) Oscar Peterson (piano) Herb Ellis (guitar) Ray Brown (bass) Stan Levey (drums). Liner Note Authors: Nat Hentoff; Barry Alfonso. Recording information: Capitol Studios, Hollywood, CA (10/15/1957). Photographers: Katherine Holzman Goldblatt; Burt Goldblatt. This was the first Ben Webser LP I bought–at a used record store in Berkeley, CA in the early 1970’s. 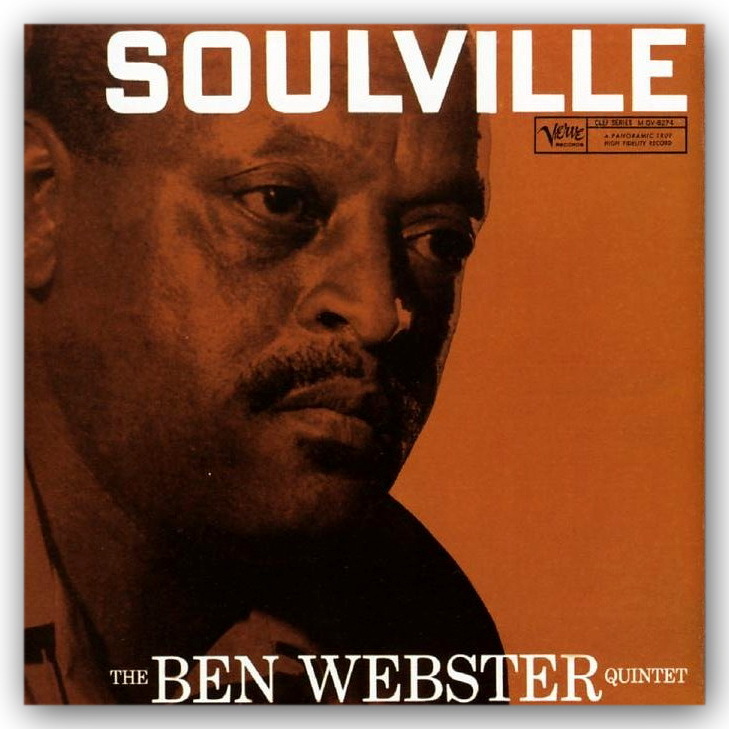 I had no idea who Ben Webster was at the time–was just discovering jazz and I liked the album cover. Thirty years later there is not a week that goes by that I don’t have Soulville on the turntable or in the CD player of my car. 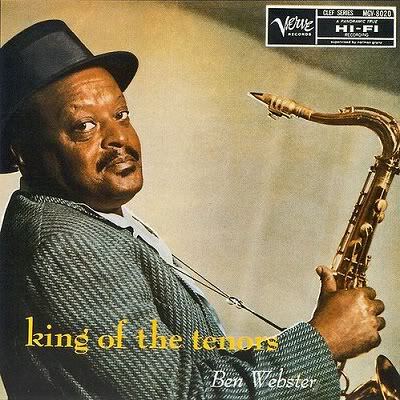 It might not be Ben Webster’s best LP (King of the Tenors, maybe?) or his best playing (1939/40 with the Ellington band), but this record has more grit and tender, loving SOUL than any album I’ve ever owned. Sit back in your favorite chair, pour a snifter of your favorite libation, turn out all the lights, make sure nobody is home and prepare to get kicked right in the guts. One warning–don’t play this LP if your wife or girlfriend has just walked out on you–it will bring you to tears. And Stan Levey, by the way, was Charlie Parker’s regular drummer after Max Roach left and, along with Roy McCurdy is the best drummer I’ve heard live on a REGULAR basis. And the rest of the rythym section speaks for itself. Μελοποιημενα ινδιανικα ποιηματα με την παραδοσιακη μουσικη των Ανδεων αλλα και τους ρυθμους της Καραβαϊκης, περιεχει η καινουργια δισκογραφικη δουλεια των APURIMAC, ονομα δανεισμενο απο την ινδιανικη φυλη ΚΕΤΣΟΥΑ των Ανδεων, που σημαινει ο ‘Θεος του λογου’. Η ελευθερη αποδοση των στιχων ειναι του Χαρη Κατσιμιχα. Συμμετεχουν ο Χ.Κατσιμιχας στο τραγουδι ‘Μανα γη’ ενω εχει γραψει τη μουσικη και τραγουδα στο ‘Λουλουδι του δασους’, ο Παντελης Θαλασσινος με στιχους, μουσικη και τραγουδι ‘Αμα τη δεις’ και εχει γραψει τη μουσικη στο τραγουδι ‘Μοναχα μια φορα’ και ακομη η Δαφνη Πανουργια με τραγουδι στο Rorani. 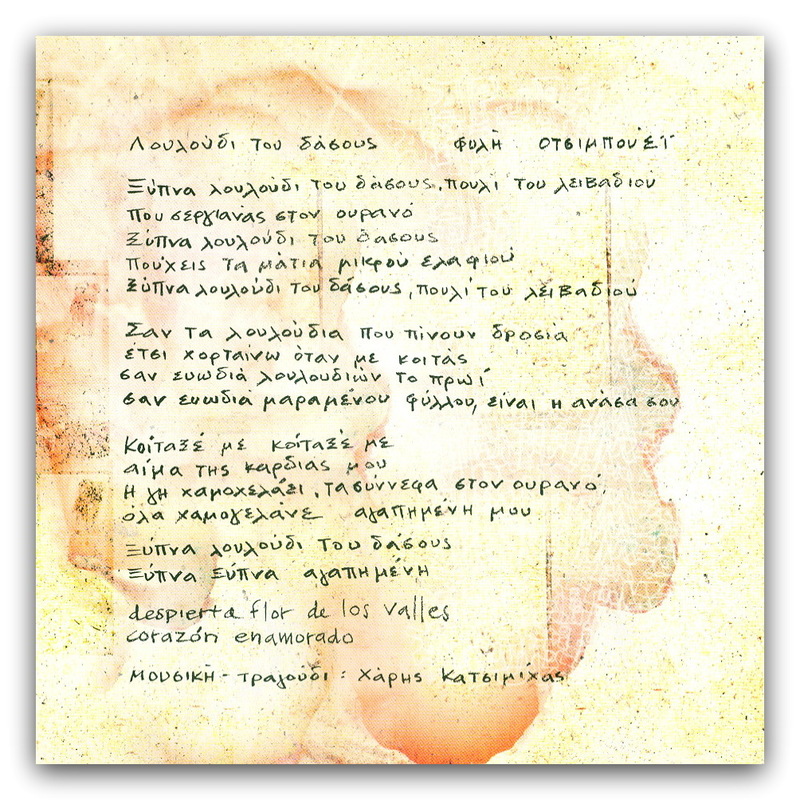 «Αpurimac σημαίνει ο «Θεός του Λόγου». 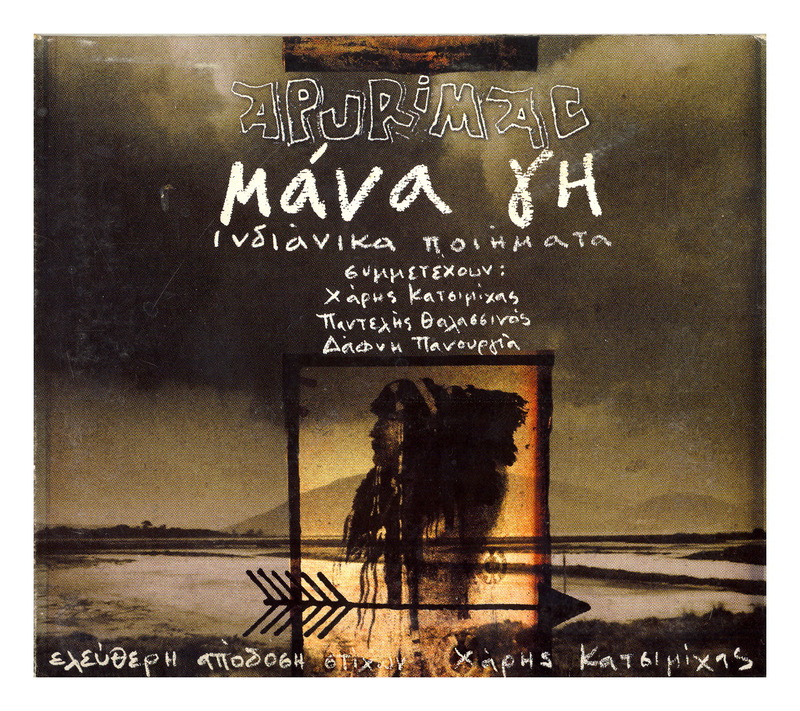 Ο «θεός», ο οποίος σύμφωνα με τον πολιτισμό των Ίνκας κατέβηκε στη γη για να δώσει στους ανθρώπους τη δυνατότητα να μιλήσουν και να επικοινωνήσουν μεταξύ τους. Ίσως να είναι αυτός ο «θεός» που δίνει έμπνευση όχι μόνο για τα «λόγια» των τραγουδιών των Αpurimac, αλλά και για τις υπέροχες μουσικές τους συνθέσεις, τις πολύ αξιόλογες διασκευές και τις ανεπανάληπτες ζωντανές εμφανίσεις τους, που τους έχουν καθιερώσει ως ένα από τα μακροβιότερα Latin συγκροτήματα στη χώρα μας.